What Is Teacrine aka Theacrine? Theacrine or 1,3,7,9-tetramethyluric acid is a purine alkaloid compound which is fast becoming the new kid on the block in terms of stimulants. Extremely similar to caffeine, Theacrine began appearing in supplements over the last few years, but has actually been researched since the 60s. While there is a lack of human research on the compound, it shows some promising properties as a pre workout ingredient. If you notice Teacrine with a trademark, it is essentially the same as Theacrine. It is molecularly similar to caffeine which delivers comparable stimulatory effects. Teacrine is one of the most common trademarked compounds that you may often find in supplements like pre-workouts and fat burners because of its benefits in boosting mood, increase in physical and mental energy as well as heightened focus and concentration. Teacrine is a clinically tested ingredient that is ideal for athletes who want to improve performance without having any jitters or crash. You will find that for competitive athletes, Teacrine is also one of the most validated and safe to consume ingredients on the market. Where Does Teacrine Come From? Teacrine is naturally found in a species of tea known as Kucha Camellia assamica. 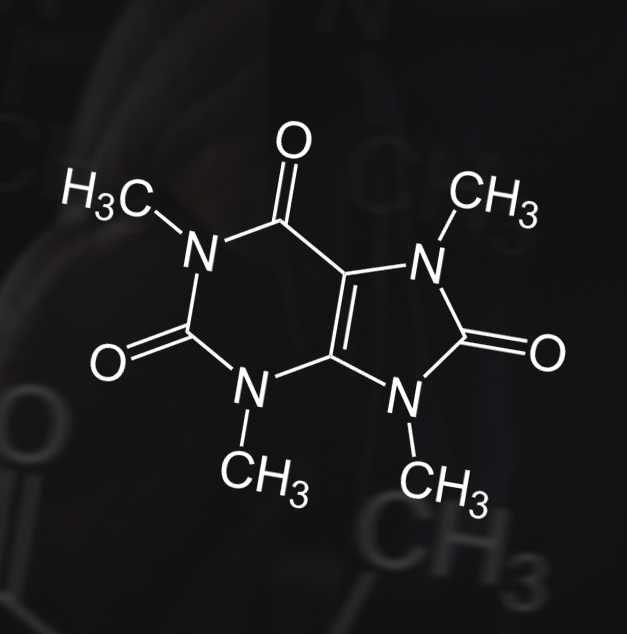 The compound itself can actually be produced from caffeine. It is found in greater concentrations in young buds and leaves of the plant with levels declining as the plant matures. Teacrine's multi-faceted effects come from the reactions between the two neural pathways. This being the dopaminergic and adenosinergic pathway. By affecting these major pathways and supporting other neurotransmitters, Teacrine increases energy without irritability and enables competitive athletes and active individuals to perform physical and mental performance. Due to its similarity with caffeine, Teacrine possesses many of the same physiological properties of caffeine. As with caffeine, studies have shown that theacrine contains sedative and hypnotic effects. That is, it has a calming effect and can help to promote sleep. For caffeine, this occurs at impractically low levels, however for theacrine, this effect can be experienced with a single cup of Kucha tea. In addition, theacrine possesses both anti-inflammatory and analgesic (pain reduction) effects. The versatility of Teacrine makes it extremely suitable for use in training and bodybuilding. For example, any of the above benefits listed can be positive when it comes to training. At lower doses, its sedative and sleep inducing effects can support improved recovery. Similarly the anti-inflammatory effects can also promote reduced muscle soreness and a quicker return to the gym. The analgesic properties of theacrine can benefit endurance training and better gains. Perhaps the most pronounced effect though is theacrine’s ability to act as a stimulant and one that hasn’t been shown in studies to result in tolerance. Unlike caffeine, where after a mere 7 days, your body becomes accustomed to its effects; there is no evidence of this with theacrine. This makes it even more attractive as an alternative stimulant source for pre workouts. Although Teacrine poses similar properties to caffeine, teacrine is an ingredient that is subtle yet offers users the benefit of an increase in energy without the jitters or crash that occurs when caffeine is consumed. Teacrine works through different neural pathways by activating more dopamine and reducing adenosine. It increases energy without irritability and enables competitive athletes, active individuals and driven professionals to better their physical and mental performance. 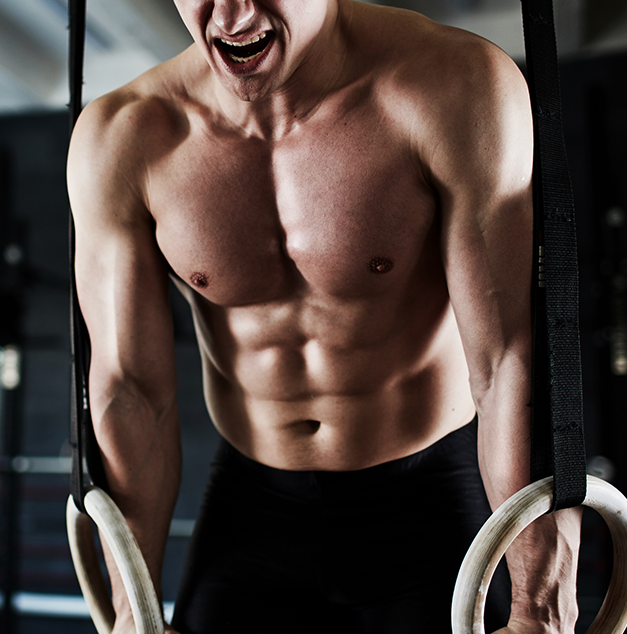 Through these mechanisms, Teacrine is able to fuel athletes to perform at their best. Through extensive research, preliminary data indicates that acute supplementation of 200mg does have beneficial effects on increased energy and reduction in fatigue. No real information exists for any side effects associated with theacrine use. We expect that similar negatives that would occur with caffeine would occur with an increased dose of Teacrine. These include increased feelings of anxiety, jitteriness, increased heart rate, etc. In terms of safety, animal studies have shown the LD50 (a lethal dose for 50% of the population) to occur at 810mg/kg of bodyweight. It’s hard to base a maximum dose for humans based on this, but we expect it to similar to caffeine. Without some extra studies conducted, we can’t be certain what’s the most effective dose of theacrine, nor its supplement timing. Due to its similarity with caffeine, it’s best to use it before your workouts, however as it can have sedative and hypnotic effects, it can also be used before bed as a mood enhancer and relaxant. While teacrine acts as a stimulant at high doses of 150-450mg and at lower doses of 20-50mg works as a mild sedative; in terms of dosage, we’re seeing doses of around 25mg to 50mg found in supplements, so it’s best to stick with these figures until further information is available. As mentioned previously, the ingredient is popping up in a range of different pre workouts and fat burners. It’s appearing as the trademarked Teacrine or Teacor in various supplements including Cellucor’s most recent range of new products including Underground Labs Amped, the reformulated C4 Ultimate and USPLabs Jack3d. Other supplements include fat burner Underground Labs No Fat, Ronnie Coleman's Yeah Buddy, BSN's N.O Xplode XE and the popular pre-workout Pathogen by Outbreak Nutrition. As both a stimulant and sedative, Teacrine can be stacked with a huge range of supplements and ingredients. It can be stacked with fat burners, pre workouts, sleep support supplements to almost anything else. For lovers of stimulants, you’ll be happy to hear that the next stimulant closest to banned DMHA is Teacrine (Theacrine) and Dynamine (Methyl Liberine). At the time of writing, recent studies have indicated that theacrine provide users you long lasting energy and does not seem to develop any tolerance to it. Teacrine is a completely safe, potent and legal option for trainers. 1. Wang Y, Yang X, Zheng X, Li J, Ye C, Song X. ‘Theacrine, a purine alkaloid with anti-inflammatory and analgesic activities.’ Fitoterapia. 2010 Sep;81(6):627-31. 2. Xu JK, Kurihara H, Zhao L, Yao XS. ‘Theacrine, a special purine alkaloid with sedative and hypnotic properties from Cammelia assamica var. kucha in mice.’ J Asian Nat Prod Res. 2007 Sep-Dec;9(6-8):665-72. 3. Zheng XQ, Ye CX, Kato M, Crozier A, Ashihara H. ‘Theacrine (1,3,7,9-tetramethyluric acid) synthesis in leaves of a Chinese tea, kucha (Camellia assamica var. kucha).’ Phytochemistry. 2002 May;60(2):129-34. 4. Ball KT, Poplawsky A. Low-dose oral caffeine induces a specific form of behavioral sensitization in rats. Pharmacol Rep. 2011 Nov;63(6):1560-3. PubMed PMID: 22358105.